The MASTR technology for Next-Generation Sequencing has been developed and proven to obtain a high level of reliability. We register our diagnostic products according to the requirements of the In Vitro Diagnostic Medical Devices (Directive (98/79/EC) and maintain an ISO 13485 and ISO 17025 quality system. Multiplicom, a part of Agilent Technologies, has heavily invested in setting up a quality system that meets the European CE-IVD requirements. As a result, the company has been able to design, develop and manufacture CE-IVD products for Next-Generation Sequencing that are conform to the Essential requirements outlined in Annex I of the IVD Directive. Multiplicom’s CE-IVD products that are placed on the market are therefore suitable for their purpose. Click here to go to the Next-Generation Sequencing products. 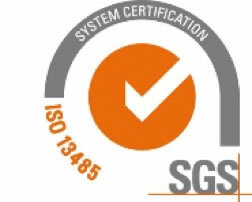 Multiplicom, a part of Agilent Technologies, has obtained recognized Quality Management System certification ISO 13485:2003 & EN ISO 13485:2012 for the design, development, manufacture and distribution of in-vitro molecular diagnostic products used for identification of genomic and somatic variants. ISO 13485 is a harmonized international standard that specifies the requirements for the company's quality management system. Certification bodies use this standard to assess the company's ability to meet customer and regulatory requirements. The ISO 13485 certification establishes Multiplicom, as a reliable supplier of diagnostic kits to clinical labs, as well as, to the major diagnostic companies worldwide. Multiplicom, a part of Agilent Technologies, has obtained ISO 17025 accreditation (603-TEST) for Clarigo and BRCA MASTR Plus Dx testing performed in the MASTR Facility. For details see accreditation scope. ISO 17025 is an internationally recognized standard applicable for testing laboratories that is based on a comprehensive review of a laboratory’s quality system and method performance to ensure it produces accurate, precise, and consistent results. 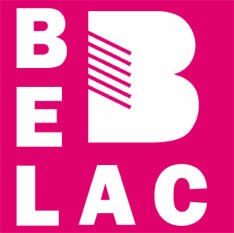 The accreditation was granted by BELAC, the Belgian accreditation body which conducts regular audits using technical assessors which are recognized experts in their field.